While developing any kind of software product, the first question in any developer's mind is, “What are the qualities that a good software should have ?" Well before going into technical characteristics, I would like to state the obvious expectations one has from any software. First and foremost, a software product must meet all the requirements of the customer or end-user. Also, the cost of developing and maintaining the software should be low. The development of software should be completed in the specified time-frame. 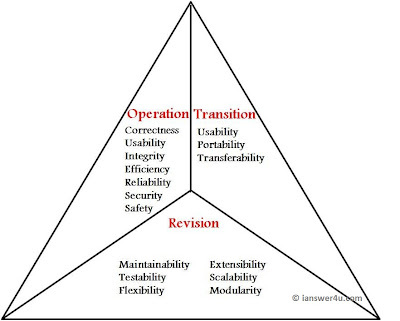 What Operational Characteristics should a software have ? a) Correctness: The software which we are making should meet all the specifications stated by the customer. b) Usability/Learnability: The amount of efforts or time required to learn how to use the software should be less. This makes the software user-friendly even for IT-illiterate people. c) Integrity : Just like medicines have side-effects, in the same way a software may have a side-effect i.e. it may affect the working of another application. But a quality software should not have side effects. 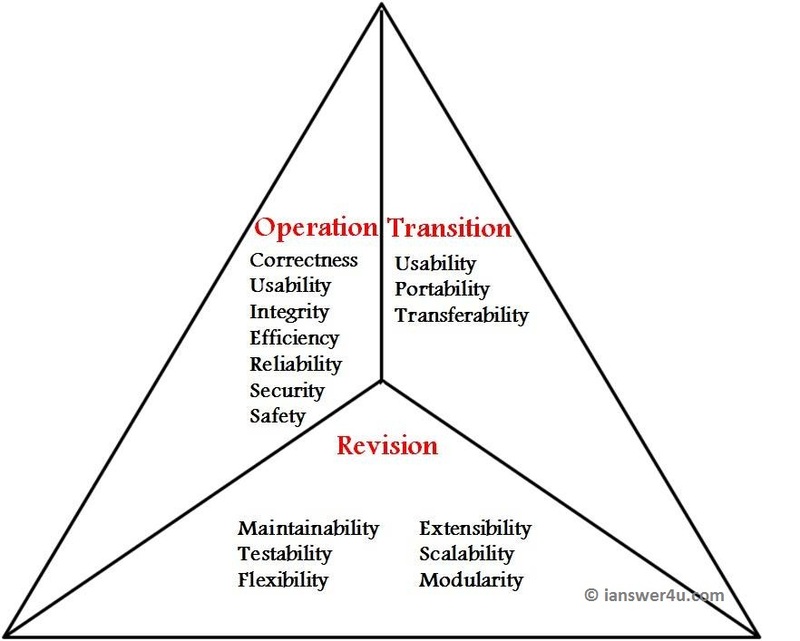 d) Reliability : The software product should not have any defects. Not only this, it shouldn't fail while execution. e) Efficiency : This characteristic relates to the way software uses the available resources. The software should make effective use of the storage space and execute command as per desired timing requirements. f) Security : With the increase in security threats nowadays, this factor is gaining importance. The software shouldn't have ill effects on data / hardware. Proper measures should be taken to keep data secure from external threats. g) Safety : The software should not be hazardous to the environment/life. What are the Revision Characteristics of software ? a) Maintainability : Maintenance of the software should be easy for any kind of user. b) Flexibility : Changes in the software should be easy to make. c) Extensibility : It should be easy to increase the functions performed by it. d) Scalability : It should be very easy to upgrade it for more work(or for more number of users). e) Testability : Testing the software should be easy. f) Modularity : Any software is said to made of units and modules which are independent of each other. These modules are then integrated to make the final software. If the software is divided into separate independent parts that can be modified, tested separately, it has high modularity. a) Interoperability : Interoperability is the ability of software to exchange information with other applications and make use of information transparently. b) Reusability : If we are able to use the software code with some modifications for different purpose then we call software to be reusable. c)Portability : The ability of software to perform same functions across all environments and platforms, demonstrate its portability. fabulously written. i got all the points. its for my friend's seminar. thank you.